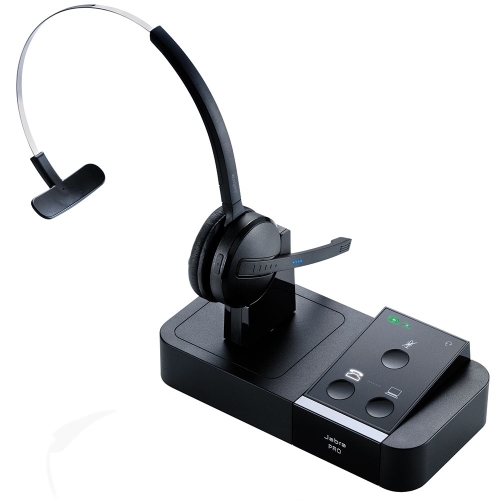 A wireless headset that enables employees to take calls from their desk and softphone all with one headset, easily integrating with speech recognition. 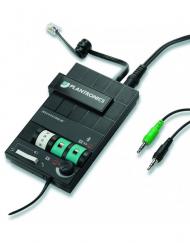 Categories: Microphones, Wireless Headsets, Telephone Switchboxes. Wireless DECT technology allows you to roam up to 150 metres away from your desk without dropping the call. Answer and end calls remotely while multitasking around the office. With up to 10 hours of battery life, you won’t need to worry about running out of charge. Top accuracy score in Nuance’s test for compatibility with Dragon speech recognition. Works on both PC and Mac. Take every call on the same headset. Connects to your desk phone and softphone at the same time. Manage multiple calls through an industry-first, user-friendly touchpad. Also comes with a SmartSetup wizard that guides you through the connection process. Compliant with the latest security requirements of the DECT standard, designed to safeguard against eavesdropping. The Jabra-patented headset-to-base pairing process avoids risky pairing over the air to protect your conversations.